This is a Chinese name; the family name is Wu (胡). Taishan or Taishan County, formerly romanized in Cantonese as Toishan, in local dialect as Hoisan or Toisan, and formerly known as Xinning or Sunning, is a county-level city in the southwest of Guangdong province, China. It is administered as part of the prefecture-level city of Jiangmen. During the 2010 census, there were 941,095 inhabitants, of which 394,855 were classified as urban. Taishan calls itself the "First Home of the Overseas Chinese". An estimated half a million Chinese Americans are of Taishanese descent. Curse of the Royal Harem is a 2011 Hong Kong period drama produced by TVB under executive producer Chong Wai-kin. The 45-minute episodes aired from 31 October to 4 December 2011, in a total of 27 episodes in Hong Kong and 29 episodes for the overseas audience. Its stars Jessica Hsuan, Myolie Wu, Sunny Chan, Gigi Wong, Nancy Wu & Joel Chan as the casts of this series. It is one of three grand TVB productions used to celebrate the channel's 44th anniversary, the other two being Super Snoops and Forensic Heroes III. 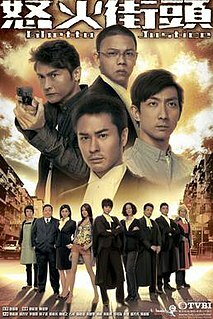 Ghetto Justice is a TVB modern drama series about a former talented lawyer who fights injustice for the people of the Sham Shui Po district in Hong Kong. The series became a success and was followed by a sequel, Ghetto Justice II. 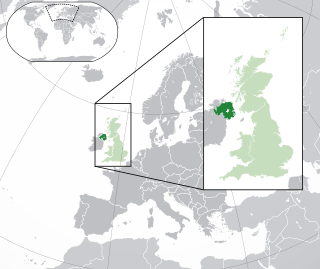 In her schooling days, Myolie received high school education in Boarding School at Methodist College Belfast, Northern Ireland. She later returned to Hong Kong and attended the Hong Kong University of Science and Technology, majoring in Biochemistry. Methodist College Belfast (MCB), locally known as Methody, is a Northern Irish coeducational voluntary grammar school in Belfast, located at the foot of the Malone Road. It was founded in 1865 by the Methodist Church in Ireland and is one of eight Northern Irish schools represented on the Headmasters' and Headmistresses' Conference. It is also a member of the Independent Schools Council and the Governing Bodies Association. Hong Kong, officially the Hong Kong Special Administrative Region of the People's Republic of China and commonly abbreviated as HK, is a special administrative region of China on the eastern side of the Pearl River estuary in southern China. With over 7.4 million people of various nationalities in a 1,104-square-kilometre (426 sq mi) territory, Hong Kong is the world's fourth-most densely populated region. During her first year in university, Myolie took part the Miss Hong Kong pageant in 1999 and clinched second runner-up. Shortly afterward, she signed on to TVB as a full-time contracted artiste and withdrew from school. Golden Faith is a 2002 Hong Kong television drama produced by TVB, starring a cast that includes a strong mix of new generation actors such as Gallen Lo, Deric Wan, Jessica Hsuan, Raymond Lam, Anne Heung, Myolie Wu, Tavia Yeung, and Michelle Ye and old generation powerhouse actors such as Paul Chun, Lau Dan, Shek Sau, Kwok Fung, Lau Kong, and Gigi Wong. It is Gallen Lo's final dramatic epic before he left TVB, Deric Wan's comeback drama, Myolie Wu's breakthrough role and Felix Lok's first major role from random support characters. It is billed as a major production from the makers of At the Threshold of an Era. Gallen Lo Ka-leung is a Hong Kong actor and singer who primarily acts in television series. He is sometimes credited as King Gallen or Law Ka-leung. The TVB Anniversary Awards, officially known as the TV Awards Presentation of TVB, is an annual awards ceremony honoring TVB's programming achievements in Hong Kong television; despite claims that it is the region's equivalent to the American Emmy and the Australian Logie, no other networks are allowed to enter their programmes into TVB competition, and it is awarded solely to TVB programming. Winners are awarded a copy of the golden TVB anniversary statuette, which depicts a man and a woman holding up TVB's square logo. The TVB Anniversary Awards are only one of three TVB awards given out. The other two types of TVB awards that are given out before the anniversary awards are: TVB Star Awards Malaysia and StarHub TVB Awards (Singapore). A list of all TVB awards winners is compiled here in the TVB Awards Winners Lists. Myolie was offered her first lead role in Survivor's Law in 2003. In the same year, she also starred in the classic TVB drama Triumph in the Skies alongside veteran actors Francis Ng and Flora Chan. Both series received high viewership ratings and Myolie soon rose to popularity. Survivor's Law is a 25-episode TVB drama broadcast between July 14, 2003 to August 15, 2003. It is the direct prequel to 2007's Survivor's Law II (律政新人王II). Francis Ng Chun-yu is a Hong Kong actor and director. He is known for his roles in the TVB series Triumph in the Skies and in films such as Young and Dangerous, Once Upon a Time in Triad Society and The Mission. Flora Chan Wai-shan, is an American actress active primarily in Hong Kong television and film. Along with Maggie Cheung Ho-yee, Kenix Kwok, Jessica Hsuan, and Ada Choi, she is known as one of the Top 5 "Fa Dans" of TVB from the mid-1990s to mid-2000s. Liza Wang Ming-chuenSBS, is a diva, actress and MC from Hong Kong. She is a personality in Chinese-speaking communities. She has been nicknamed "The Big Sister" in the HK entertainment circle. Wang was a delegate in the National People's Congress from 1988 to 1997, and she is a member of the Chinese People's Political Consultative Conference. Bosco Wong Chung-chak is a Hong Kong actor under TVB management and singer under East Asia Music. In 2007, Myolie was paired with Mainland actor Feng Shao Feng in the TVB-CCTV joint production The Drive Of Life . The couple was well received by fans. She also starred as Chow Lai-Man in the second installment of War of In-Laws, Wars of In-Laws II in same year. Myolie took another step in her acting career in 2009 by filming her first Mainland drama Beauty's Rival in Palace , in which she guest-starred in for five episodes and was once again paired with Feng Shao Feng. The drama achieved a high viewership rating and her performance was well-praised. She continued to film her second Mainland series Happy Mother-in-Law, Pretty Daughter-in-Law as lead actress the same year and gained widespread popularity in Mainland China. She also filmed her third Mainland drama Racecourse alongside boyfriend Bosco Wong in late 2010. The series was their third collaboration portraying a couple. Myolie took the first step in her singing career through singing the theme song for her television series War and Destiny in 2007. She then signed on to the music label Neway Star in 2008 and released her first EP entitled Evolve. In 2009, she released her second EP Loveholic and held her first solo mini-concert. The concert version Liveholic of her EP Loveholic was then released in early 2010. Myolie continues to sing theme songs for TVB's television series. After ending her 8-year relationship with her ex-boyfriend Bosco Wong,  Wu began dating British born Philip Lee in 2014. They married in December 2015. It was announced in 14 May 2017 via Instagram that she was expecting her first child with her husband. On October 13, 2017, Myolie gave birth to the couple's first child, a boy called Brendan Lee which she announced via Instagram. 2009 Astro Wah Lai Toi Drama Awards: Favourite Bizarre Character - Ho Mei Tin in "To Grow With Love"
2009 Astro Wah Lai Toi Drama Awards: Favourite Character - Ho Mei Tin in "To Grow With Love"
2008 Astro Wah Lai Toi Drama Awards: Favourite character award - Ping On from " War And Destiny"
2005 Astro Wah Lai Toi Drama Awards: Favorite character from "Dream of Colours"
Astro Wah Lai Toi Drama Awards: My Favourite Leading Actress Award - Tin Lik in "War of In-Laws"
Astro Wah Lai Toi Drama Awards: Favourite character from "War of In-Laws"
Gigi Lai is a Hong Kong actress and Cantopop singer. Lai was under a contract with the television station TVB and she retired in October 2008. She is popularly nicknamed by the Hong Kong media as the "Goddess of Beauty" (愛美神). Tavia Yeung Yi is a Hong Kong actress under Hong Kong's Television Broadcast Limited or TVB. She has starred in numerous popular Hong Kong television series such as Vigilante Force, Twin of Brothers, Dicey Business, Heart of Greed, Moonlight Resonance, Beyond the Realm of Conscience, The Mysteries of Love, The Other Truth, The Hippocratic Crush, and Silver Spoon, Sterling Shackles. Ron Ng Cheuk-hei is a Hong Kong TVB actor, singer, professional dancer and model. Bernice Jan Liu is a Canadian actress, singer, and commercial model based in Hong Kong. She has previously held the title Miss Chinese Vancouver 2000 as well as Miss Chinese International 2001, the latter position bringing her fame in Hong Kong. Linda Chung Ka-yan is a Chinese-Canadian actress and singer. She signed a long-term contract with TVB in 2004 after winning the Miss Chinese International. Chung has starred in various popular TV series, most notably Forensic Heroes (2006), Heart of Greed (2007), Moonlight Resonance (2008), A Journey Called Life (2008), The Gem of Life (2008-2009), Can't Buy Me Love (2010), Yes, Sir. Sorry, Sir! (2011), Witness Insecurity (2012), Brother's Keeper (2013), and All That Is Bitter Is Sweet (2013). Wars of In-Laws is a TVB costume comedy series broadcast in July 2005. It stars Liza Wang, Myolie Wu & Bosco Wong. Sheren Tang Shui-man is a Hong Kong actress. She is known for her roles in the mega-hit TVB drama series War and Beauty, as well as La Femme Desperado, The Family Link, Rosy Business and No Regrets. She joined ATV in 1996 and returned to TVB in 2000. Fala Chen is a Chinese actress and singer. Currently active in Hong Kong's entertainment industry, she was previously signed under Television Broadcasts Limited (TVB). Having starred in numerous Hong Kong drama series and movies, some of her notable works are Moonlight Resonance, No Regrets, Lives of Omission, Triumph in the Skies II, Turning Point, Tales from the Dark II, and her latest stage debut - Skylight (play). Known to be multilingual, Chen's mother tongue is Mandarin, but she is able to speak English, Cantonese, as well as Japanese, with ease. Susanna Kwan Kuk-ying is a Hong Kong singer and actress. She has recently been an actress for a number of TVB shows. Her nickname is "Big Doll" or "Small Sworn Mother". She had been married to Lai Siu-tin followed by a divorce. From February 5, 1990 to 2005, she lived in Canada.She returned to Hong Kong because TVB invited her to be the host of a singing program. In July 2015, Susanna ended her 8-year relationship with TVB. Wars of In-Laws II is a TVB modern comedy series released overseas in December 2007 and broadcast in January 2008. It stars Liza Wang, Myolie Wu & Bosco Wong. Burning Flame III is a TVB production. Nancy Wu is a Hong Kong actress contracted to TVB. Vincent Wong Ho Shun is a Hong Kong TVB actor and singer. Mandy Wong is a Hong Kong television actress. The StarHub TVB Awards is an awards ceremony held every year to recognise the achievements by Hong Kong television dramas and artists in Singapore. The awards are presented by StarHub, VV Drama, and E City, and are given for TVB productions and performances. The inaugural StarHub TVB Awards were held on 29 January 2010. 1 2 "Myolie Wu Leaves TVB After 16 Years of Employment". ↑ Myolie Wu lost all confidence and considered giving up Jaynestars.com (November 18, 2011). Retrieved on May 27, 2014. ↑ Myolie Wu finally makes accomplishments Myoliewunewses.blogspot.com (January 18, 2013). Retrieved on May 27, 2014. ↑ Myolie Wu Looks Forward to Long Break in October Jaynestars.com (September 11, 2013). Retrieved on May 27, 2014. ↑ Francis Ng: I didn't say Myolie Wu wasn't good, just talking about S4 Asianuniverse.net (January 1, 2012). Retrieved on May 27, 2014. ↑ “War of In-Laws 3″ Cancelled Due to “Boscolie” Breakup Jaynestars.com (July 30, 2012). Retrieved on May 27, 2014. ↑ "Myolie Wu Opens Bridal Studio Business". ↑ Bosco Wong Reveals Tearful Breakup with Myolie Wu Jaynestars.com (July 25, 2012). Retrieved on May 27, 2014. ↑ "Caught Kissing in Taiwan, Myolie Wu Admits Dating New Boyfriend" . Retrieved February 14, 2015. ↑ Chaierie (28 December 2015). "Asian E-News Portal: Myolie Wu gets married today". Wikimedia Commons has media related to Myolie Wu .